Of course, you can get source and Windows binaries from the download page. • Added high-level emulation of serial keyboard. • Implemented double-height, double-width, boldface, and blinking/half intensity attributes. • Implemented adjustable start-of-screen pointer (necessary for SET-UP mode). • Implemented screen reconfiguration for 80/132-column and 50/60 Hz modes. • Disabled ROZ optimization in modes 2 and 3 (fixes Bulk Slash and Death Crimson ROZ layer bugs). • Added support for line windows and vertical cell scroll. • Added support for undocumented rotation parameter read mirroring. • Don’t repeat ROZ when screen over process is equal to 1 (fixes D-Xhird practice stage). • Fixed potential bug with window Y sizes when double density interlace is enabled. • Added preliminary keyboard support, hooked up to The Typing of the Dead, La Keyboard, and Lupin 3: the Typing on Naomi. • Fixed Dreamcast controller ID values, making it possible to suppress VMU not found errors in Dreamcast games. • Added preliminary row/column scroll enable for tilemaps (fixes background scrolling and foreground text in Cycle Warriors). • Improved road colors in Cycle Warriors. • Moved CoJag ROM board mapping to derived address maps, and moved banking configuration to machine start. • Reduced runtime tag lookups. • Split machine configuration and address maps for each game. • Reduced code duplication, cleaned up drawing code, cleaned up ROM loading, and removed redundant code. • Added pre-calculated color for games using RGB565. • Cleaned up duplicated code, reduced runtime tag lookups. • Split out ataxx/wsf/indyheat/brutforc/asylum into separate state class. • Converted background to tilemap and restricted drawing to clip rectangle. • Supports serial ports, watchdog, and diagnostic display (in addition to I/O). • Improved emulation – HPIB test of IPC diagb ROM now passes. • Added methods to read ACCRQ and CONT output lines. • Added RL state machine and other fixes – now passes HP9000/340 POST. • Fixed handling of GTS aux command. • Cleaned up network provider protocol. • Added pause and savestate commands to both network and win32 providers. • Added coin counters and added coinage DIP switch settings for markham, strnskil, banbam and clones. • Added raw screen parameters based of 20 MHz clock on strnskil PCB. • AMX Mouse, Acorn Master 512 Mouse, Marconi RB2 Tracker Ball. • Implemented banking and system/user mode switching. • Added PolyBASIC 3.0, 3.1, and 3.4. • Now templated on more information (data width, endianness) and capable of oversize/unaligned accesses. • Adjusted Popeye and Sky Skipper layer positions to match tests on real hardware. • Added preliminary emulation of corruption on Popeye bootleg logo. • Added internal TMS9914 GPIB, clocked at 5MHz. • Added HP 46021A (ITF) HIL keyboard, and changed h9k_3xx to use this device. • Added “topcat” ASIC used on HP900/300 graphics cards, and hooked up to HP98544. • Fixed PTM6840 hookup – clock 2 is driven by output of timer 1. • Made concrete device types callable and added support for device class constructor overloads. • Made machine_config aware of current device being configured and made finder/callback target tags apply relative to it. • Allowed devcb to be bound to a device/mix-in or the target of an object finder. • Allowed device finders to be used in place of literal tags in many places in machine configuration. • Replaced many MCFG_ macros with overloaded device constructors and removed many macros that provide limited value. • Removed implicit name mangling from macros for slot options, discrete sound descriptors, and graphics decode descriptors. • Moved arcade start buttons to controllers and allowed AES joystick to be selected on systems with D-sub connectors. • Changed kizuna4p and irrmaze to use a configuration more like MV-1B/MV-1C as earlier models lack support for SIT/FTC1B. • Made fixed software using mahjong panel default to Japan BIOS as European BIOS only supports joysticks in service mode. • Changed mahretsu to use JAMMA joystick panel as it doesn’t support mahjong panel in MVS mode. 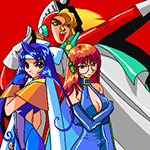 • Allowed controls to be changed for MVS mahjong games (BIOS and bakatono support joysticks). • Gave the single-slot JAMMA variants parent/clone relationships. • Re-tested all software entries that previously had video/audio issues – around 70% now work. • Tested some software entries on real hardware (PC-9821Nw150) to make sure the issues are emulation-related. • Made Acorn software list names more consistent. • Stripped leading/trailing spaces from ROM names. • Changed some ROM names that are problematic with Windows Explorer and Command Prompt.